Swimming builds a strong flexible body while it boosts circulation, improves endurance, and burns calories. Swimming works by combining easy resistance with multiple repetitions. 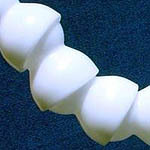 HeartFlex's patented resistance assembly uses the same principals to produce identical results - without the water. 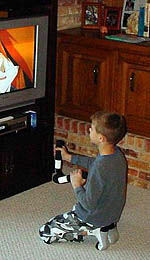 HeartFlex is kids exercise equipment that lets children workout in their own home and at their own pace. If children don't use it then it won't help them build fitness. Weights are heavy and boring. Springs and rubber band powered products can snap back and injure. And both only build strength - not overall fitness. Adding repetitions to HeartFlex movements also boosts cardio endurance - like swimming. 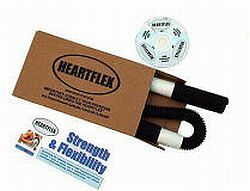 HeartFlex is lightweight - about a half a pound. It can't snap back and cause injury and HeartFlex is totally silent so it won't interfere with TV watching. It is easy and fun to do. Therapists call this variety of kids workout equipment a "fiddle" because children keep it handy throughout the day and "fiddle" with it . HeartFlex allows kids to begin slowly and develop strength and endurance at their own pace. The goal is to make exercise and fitness regular activities in children's lives. HeartFlex kids exercise equipment quickly builds strength and endurance and success breeds success. The more fit and healthy a child feels the more play, exercise, and sports they will perform. A body in motion tends to stay in motion. HeartFlex works for all fitness levels. 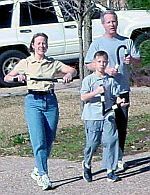 Build strength and endurance as a family fitness project and HeartFlex with your kids. Children may want to exercise but may be intimidated by gyms and the awkward feelings of "being looked at" that accompany the changes occurring to their growing bodies. HeartFlex may be used in the privacy of the child's home to avoid these embarrassing situations. Different HeartFlex movements allow the targeted training of specific muscles, joints, connectors, and structures improving sports performance, functional tasks, and hand eye coordination. 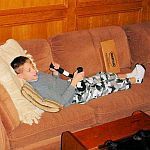 HeartFlex exercise equipment for kids quickly increases range of motion (ROM) with patented technology which lets children be in control of their own joint manipulation. Heart Flex stimulates the vascular, pulmonary, and lymphatic circulatory systems. It Increases circulation which assists the body in naturally removing harmful toxins. HeartFlex may be used by itself or combined with walking for a super workout. HeartFlex conveniently and effectively performs warm ups preventing cold muscle injuries. It stretches muscles to their optimum length before strenuous exertion. Muscles have been compared to taffy. If you stretch taffy when it is cold it tears and breaks, after being wormed up it will bend and stretch without structural damage. HeartFlex weighs only nine ounces and packs easily making it a great travelling companion for everyday use and extended trips.